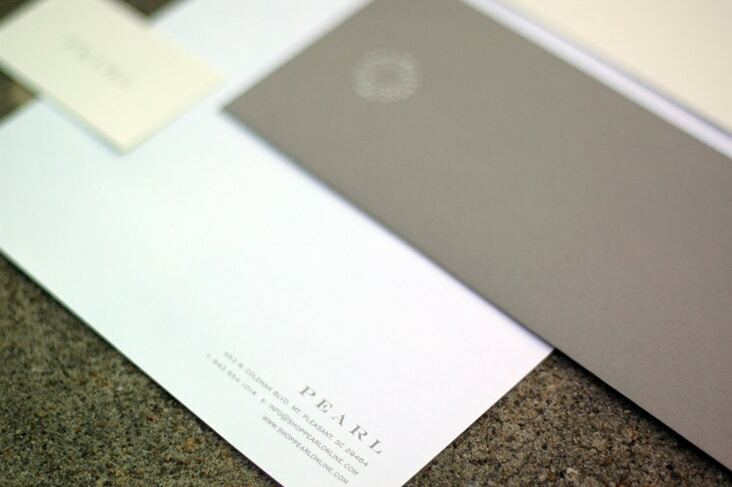 Pearl « Stitch Design Co.
Last week, Pearl, a beautifully designed clothing boutique, finally opened its doors. We worked with Allison, who named the store after her grandmother, to develop the logo, printed materials, bags, tags and website (which should be up soon!). 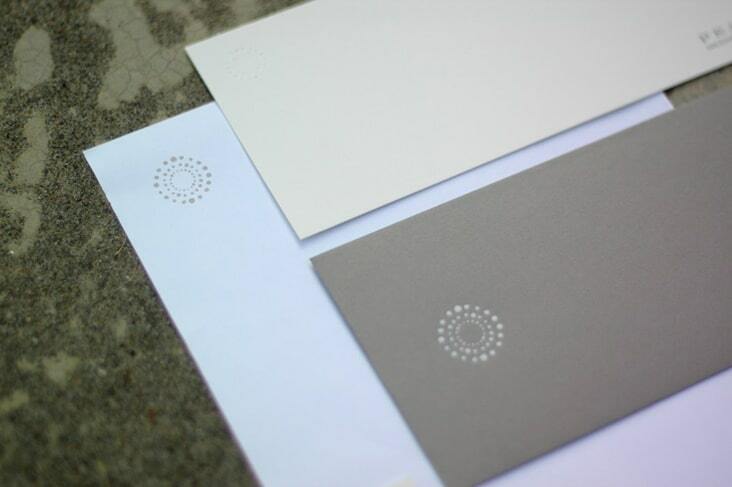 The blind embossed logo and letterpresed type turned out great. Feels so good!